Best quality is our supreme concern. We are First and large Fresh herbs supplier all over India. 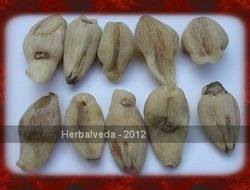 Fresh Bhramhi, which helps in increasing brain memory, it is very famous in child growth. We are offering a premium quality Fresh Thoothuvalai that are highly demanded in the market for their rich nutritional value. We offered thoothuvalai are packaged and preserved properly to maintain their freshness. Procured from some reputed vendors, these thoothuvalai are highly appreciated by our clients for their high nutritional value. It is one of the best vata pacifier ayurveda herb which also nourishes the body. We are an eminent entity of a comprehensive assortment of Arand Mool. With our rich industry knowledge, we are betrothed in trading and supplying Sage Fresh to our precious clients. Perennial, bulbous plant with cylindrical, grass-like leaves. Colour varies from mid to dark green. A mild, sweet onion-garlic flavour.